I received £176.56, a little lower than expected as some dividends now won’t hit my account until October. 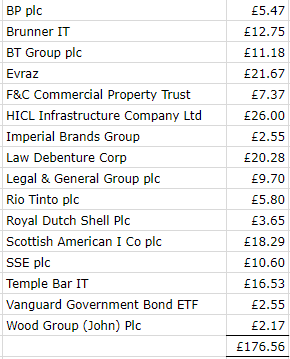 Total dividends so far this year now stands at £2,234.96, and it’s starting to look like it might be a stretch to hit my target. Expecting a plentiful month in October so let’s see how it looks like then. All dividends are reinvested, bundled up with whatever extra capital I invest monthly. 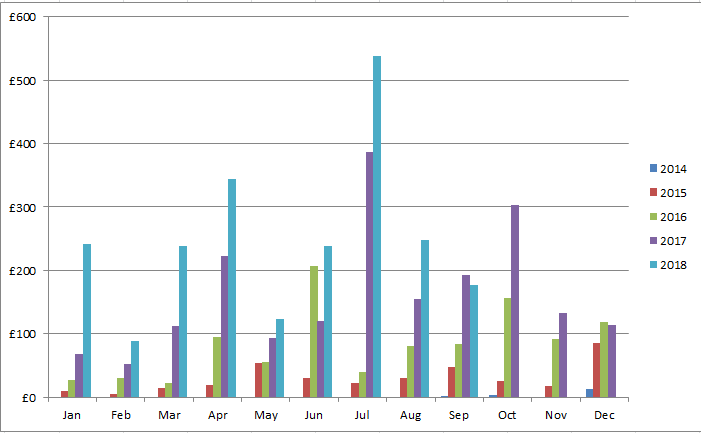 Another great month, with profits just shy of £860. For those interested, the profit ratio of actual MB (football and horses only), no-lay accas and no-lay EW betting this month was 13/8/79. Total MB profits so far this year stand at £3,503, so it looks like after a terrible start to the year, I might have turned this around and should comfortably achieve my goal (variance permitting!). Matched betting isn’t for everyone but is a half-decent way to earn tax free income (for those in the UK) in your spare time. Check out the free trial*with no obligations. Yes, I read another non-fiction book but I won’t do a full review as it’s not really relevant to the blog. For those interested, it was ‘This is Going to Hurt: Secret Diaries of a Junior Doctor‘ by Adam Kay – funny in a laugh-out-loud kind of way but also sad and heartbreaking. Just one more non-fiction book to squeeze in – I’ll try to read a topical one so I can write up a review. Managed to do quite a bit of fictional reading too recently so hopefully, I should be able to make some ground on the library book goal. For those following my Bingo reading progress, I managed to get a line! Anyway, despite the chill in the air, still not got my central heating on yet – have you? Hope you all had a great September! This entry was posted in Books, Cashback, Dividend Investing, Earnings, Expenses, Investment Trusts, matched betting, Portfolio, Savings by weenie. Bookmark the permalink. Love to see you taking up walking weenie – it’s an awesome hobby. But you are braver than me, going out in that weather – I’m becoming much more a fairweather walker lately. And when you get decent waterproofs and accept you need to wear waterproof trousers, walking in bad weather is much more fun. Trust me! 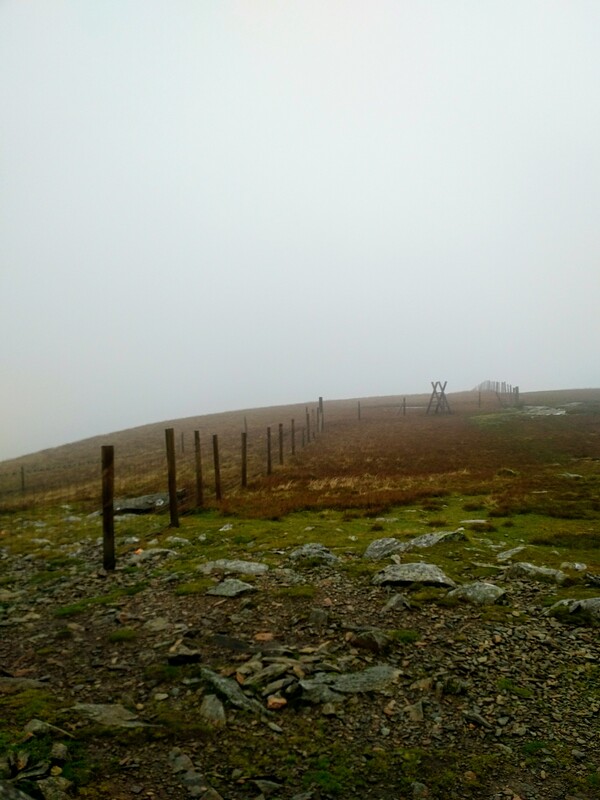 I did the West Highland Way, 20 miles one day in near constant rain – soaked on the outside, but my feet and inners were still dry at the end. And good progress on the numbers it’s all coming along well – and I wouldn’t worry if you don’t meet the ambitious goal. No central heating here yet. But I have put the aga back on. (confession over). I’m not into outdoors stuff so definitely a fairweather walker – only endured the weather cos it was for charity! Wearing more layers around the house seems to be doing the trick so far, I’ll hold out for as long as possible, haha! £150k in the future fund is amazing progress! Well done Weenie! A good month for MB too, I’ve had a disappointing one, approx £24k staked and only about £150 profit!!!! Ah well! Hopefully next month improves! Ouch, is that £24k on EW betting? You must be on hell of a bad downswing so fingers crossed the odds go your way this month! Yep – scary numbers when you’re on the edge of profit! Hahaha! Following TFS’s guide I’ve placed about £30k of bets since I started just over a month ago and I’m about £500 up… 1.5% ROI – buy hey, still up! Hopefully it smooths out over the next few months. I’ve started picking out some of the patterns that have been emerging from £30k of staking and 1,500 bets so fingers crossed in the next few months I can turn it around! Sounds like you are just on a really bad run but probability is that there is an upswing on its way! Great post! A bit curious about the MB though.You say it’s not for everyone. In what sense? From what I read it’s pretty risk free? I say it’s not for everyone because despite the profits to be made, not everyone likes doing it. I’ve heard that some people find it boring and repetitive or find it too fiddly keeping track of their profits, their various betting accounts, their bets etc. Some are uncomfortable opening so many different betting accounts, get tempted to gamble, don’t like following instructions etc. As for risk free, essentially yes it is, but not free from good old human error! I still make mistakes (sometimes costly) such as backing or laying the wrong horse, forgetting to lay, laying the wrong amount, betting on the wrong team, or wrong fixture. Ok, perhaps it’s just me, I’m not perfect, haha! Awesome job with the matched betting! How long have you been EW betting for now? My stocks performed pretty badly this month, I think it’s all this messing about with Brexit. SavingNinja recently posted…Should You Include Your House In Your Net Worth? I actually found it harder going downhill than uphill – downhill is more pressure and pounding on the joints and aggravates old injuries! Work did the 3 peaks challenge last year and I missed out because I had family visiting! I’ve been EW betting since March but didn’t increase my bets above £1EW until May as I wanted to see how I felt about variance! I’ll be well happy if my current momentum (and winning streak) continues! Nice work on all the side income! I love a good walk, but 9 miles in the rain and wind doesn’t sound the most pleasant… but glad it seems to have prompted a new hobby! Cheers Mindy. Unfortunately, with British weather being what it is, I might have to take a leaf out of MsZiYou’s book and buy some decent waterproofs! Awesome that you did the charity walk! Especially in the worst of the weather we’ve had recently, amid all the sunshine, really makes it much more of an achievement. I actually signed up to the 3 peaks challenge with work this year but then they decided to not pay for travel or accommodation which made it too expensive for most of my team mates to contemplate! Bit stingy considering it was supposed to be for charity! To Charles above, sounds like you’ve been very unlucky as most people I know have had a very good September! Rest assured you should take this in your stride and the profits will come sooner or later! Just need to stick with it! Yes, that walk did feel like a real achievement – I’d love to do it again but in nicer weather! A shame about your 3 peaks challenge. That might be on the cards for us again next year as it’s not too far away for us. Yes, that’s £679.40 from EW betting and works out at just over 20% ROI, which I’m very pleased with. I’ve been doing some no lay accas too and they are nowhere near as profitable, or maybe just on another bad run with those! Your future fund is looking very healthy now and your Matched Betting profits are making up a nice chunk of your savings. I do love a good walk in the rain – I’d have to given we will be moving to the Lake District next year ish – but waterproofs are an absolute must. And what is really waterproof is not always clear when you buy. Hubby has had 3 waterproof jackets, all Goretex, and only 1 could cope with full on driving rain. Good waterproof gear doesn’t come cheap – one of the few times when paying more will most likely get you better quality and wear ability. Yes, making good progress on the Future Fund and MB profits – just need to keep up the momentum! My jacket is Goretex but had never been tested in that kind of rain before, so yes, I need to splash out on something more waterproof if I’m going to continue to walk in the UK! Great progress with your Future Fund. I really enjoy following your blog. Re John K hasn’t he started with 50k and then grown it to £103k without further injections of seed capital? If so I am mighty impressed with him also. If you get chance I would recommend reading Super Investors by Matthew Partridge. I struggle with dry texts but this really sings to me! Thanks and yes, you’re right, John K’s fund started at £50k and has doubled with no extra capital added. That’s a massively impressive achievement already and based on past performance, he would give me a close run competition, with me adding extra capital! Thanks for the recommend, I shall check that out. I had two really good consecutive months on the matched betting which really boosted my profits. 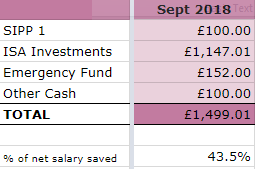 Not started this month in a great way but I’m a lot more confident now of hitting my £4k goal. Well done on the walking – 9 miles is going some if you are not a walker. I walk miles every week – sadly pretty flat around here – just about the best FIRE hobby there is though, if you ask me. Great to see the MB profits – I have finally come out of my slump and started the EW no lay method (thanks TFS for the fantastic guides and to you for the prod!). Mixed results so far, but only a week in so plenty of time for that variance to do its thing. Belated response but all the best with your EW betting and may the odds be in your favour – it’s a rollercoaster! Nice work Weenie. How much time do you find you have to put into oddsmonkey arb betting to get those kinds of numbers? What is the ROI %? On the EW betting, I probably spend around 30-40 mins a day in total and a couple of hours at the weekend. ROI has dropped to around 10% as October and November were rocky months.